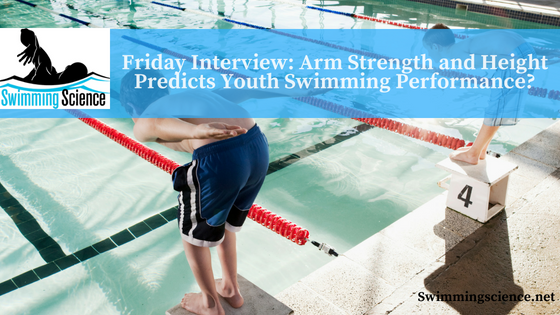 Friday Interview: Arm Strength and Height Predicts Youth Swimming Performance? 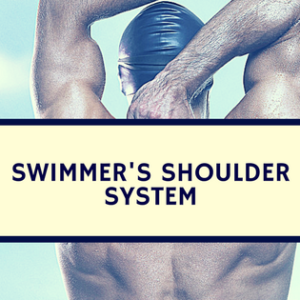 Blog Friday Interview: Arm Strength and Height Predicts Youth Swimming Performance? My name is Kristen Cochrane and I received a Bachelor’s degree in Cognitive Sciences from the University of California, Irvine in 2008 and a Master’s degree in Exercise Physiology from California State University, Fullerton in 2012. I am a member of the American College of Sports Medicine (ACSM) and a Certified Strength and Conditioning Specialist® (CSCS®*D) of the National Strength and Conditioning Association (NSCA). I am currently a doctoral candidate and entering my last year at the University of Nebraska, Lincoln, where my main research interests include the evaluation of cardiovascular, neuromuscular, and perceptual responses during dynamic fatiguing exercise as well as the body composition, anthropometric patterns, and performance related variables of young athletes. 2. You recently published an article on predictors of youth swimming performance [Full list of academic citations]. Before we talk about this study, could you explain why this is an important topic? This is an important topic because it provides coaches with trainable variables and outcomes for their athletes that have been shown to improve swimming performance. In this regard, coaches are provided additional tools for their “toolbox” that allow them to focus on specific muscle groups and outcomes during their athletes’ out of the pool training sessions [see a great post by Dr. Barbosa on long-term athletic development]. The current study examined anthropometric and strength variables of young swimmers who participated in local club swimming and how these variables relate to and predict propulsive force (the force most predictive of swimming performance). 4. Were there any other tests (swimming or on land) you considered? There have been studies that have examined force in the pool, but the present study solely investigated these young swimmers out of the pool, performing controlled velocity muscle actions. 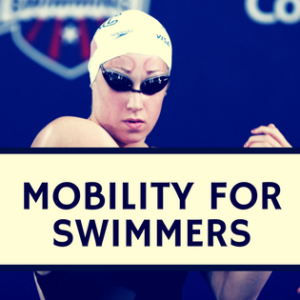 This allowed us to look at the velocities specific to front crawl performance and isolate the muscle groups of interest, specifically those of the forearm flexors and extensors, without the influence of the lower body musculature. 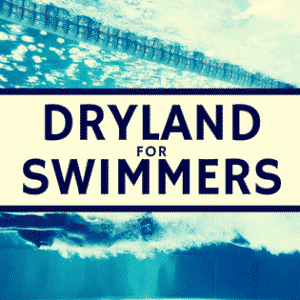 It would be great to get these swimmers back in and re-test their dryland strength in addition to their propulsive forces in the pool after a forearm flexion and extension specific training program. 5. What were the results of your study? The results of our study indicated that forearm flexion and extension actions (i.e. actions with the biceps brachii and the triceps surae muscles) in addition to the quantity of fat-free mass and the height of the swimmers are most related to their ability to produce propulsive forces in the water during the front crawl. Both forearm flexion and extension actions can be trained, and fat-free mass is typically improved with resistance training, but height is going to be determined by an athlete’s stage of growth and genetics. 6. What were the practical implications for coaches and swimmers from your study? Practically speaking, coaches should focus on resistance training programs to improve fat-free mass and strength of the forearm flexors and extensors (biceps brachii and triceps surae). Although velocity cannot be controlled during free-weight training, coaches should ensure that some of the training involves some powerful movements to approximate the velocity typical of the front crawl stroke. In addition, this study demonstrated that body fat percentage was not a significant contributor to propulsive force, which suggested that coaches do not have to specifically recommend any training/nutrition practices designed to either increase or decrease fat-mass. Furthermore, coaches may be able to identify taller athletes in the early stages of training or club participation, which will provide yet another favorable characteristic for the generation of propulsive forces in the pool. 7. Do you think the upper body strength is from actual strength or maturation and do you think this matters? Upper body strength development is a factor of both training and maturation. As any young athlete matures, there are hormonal changes (i.e. increases in Testosterone), which will improve force production. During the early stages of training and in younger, less mature, athletes, performance improvements are typically related to practice, technique improvements, and neural adaptations that lead to improvements in the ability to produce force and perform a skill more efficiently and effectively. Once athletes reach puberty, additional strength gains in muscle mass, due to increases in circulating growth hormones, adds to the neural adaptations to further improve performance. It is important for coaches to understand the developmental stages of young athletes and to tailor training programs as a function of their training and developmental ages. 8. What activities can coaches do to improve youth swimming performance, while not jeopardizing long-term performance? Coaches should consult the recommendations for youth training provided by the USA Swimming and understand that athletes will respond differently to the same training regimen. There are always low and high responders to training and no “one size fits all” approach. With this in mind, coaches should continue technique practice and conditioning in the pool and provide resources for athletes to train in a supervised, dry-land resistance training program. The NSCA provides resistance training recommendations for young athletes dependent upon their training (years experience with weight lifting) and developmental (Tanner stage) ages. Consistent and frequent follow-ups and discussions with young athletes regarding their level of satisfaction, performance, and sensations of fatigue should also be included in any coaches training program to ensure each athlete is progressing and not experiencing fatigue or overtraining. 9. Are there any things you feel youth swimming coaches could do better? I think the best thing that any coach, including youth swimming coaches, can do is to be up to date with the most current training and performance related literature [Swimming Science Research Review]. There are innovations and updated recommendations that come out every year, and it is important to consult with the experts in the field, both in the performance and research setting, to ensure that the athletes of interest are getting the most well-rounded and effective training available. 10. Who is doing the most interesting research currently in your field? What are they doing? In regards to my applied exercise physiology research, Dr. Amann at the University of Utah is currently conducting some extremely innovative research regarding the mediators of cardiovascular, ventilatory, and perceptual responses during dynamic exercise. There is a multitude of theories regarding which areas of the brain control our physiological and perceptual responses during exercise and he and his team are making great strides to pinpoint the “how”, “where”, and “why” this occurs. In regards to sports performance research, California State University, Fullerton is always active in publishing in the Journal of Strength and Conditioning Research and the graduate students consistently apply current research questions to sport specific populations, such as swimmers, surfers, soccer players, golfers, and even ultimate fighters. The students and fantastic advisement from the faculty keep a constant flow of new ideas, data, and theory available and accessible to coaches. 11. What makes your research different from others? I think that coming from a developmental background has improved my ability to conduct sports performance research. I have integrated my previous cognitive science knowledge into my current research agenda, which includes the mediation of the perception of effort during dynamic exercise, an area of which has endless applications for performance, training, and basic physiology studies in the future. I also have previous experience working with young athletic clubs and coaching, which I hope to apply to future studies involving young track and field, swimming, and tennis athletes. 12. Which teachers have most influenced your research? Two names come to mind- first would be my 7th-grade science teacher and West High Cross-Country coach, Jason Druten. He inspired not only myself but also all of the students in the class to be passionate about science and become better critical thinkers. As a coach and former athlete, he also practiced his skills outside the classroom with the track and cross-country teams. Secondly, would be my current advisor, Dr. Terry Housh. He started his career at the University of Nebraska with the center for youth performance, which focused on innovating performance and descriptive research with young athletes when they were an understudied population. The research at Nebraska has and still includes young athletes from the fields of gymnastics, wrestling, and swimming. Dr. Housh constantly encourages his colleagues and students to ask questions that will contribute new and important information to the literature, while providing a springboard for new and future studies. 13. What research or projects are you currently working on or should we look from you in the future? I am currently working with college-aged runners and investigating what factors mediate the perception of effort during both moderate and high intensity running. I hope to apply these findings to future studies in which a more economical method of monitoring training adaptations can be used by coaches and schools without the resources to monitor heart rate or oxygen consumption.